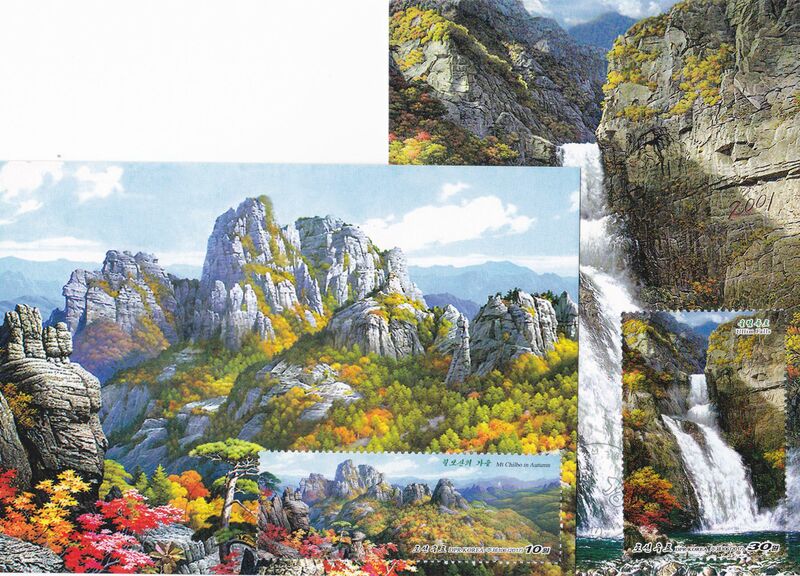 L9376, Korea Maxicard 2 Pcs, "Mt Chibo and Ullim Falls" 2017. MNH. Issued by Korea in 2017, with original mark. Full set of 2 pcs.